It started out as an original project with no source material. This is the story about a city and the seven kings who inhabit it. Each king represents a different color of a clan that they spearhead. In the original anime series, we were introduced to the Red, Blue, Silver, and Gold clans and their respective kings. While the original anime focused on the Red King vs Blue King as well as the mystery behind Shiro, the sequel took us one year beyond those events. This is K: Missing Kings. If you haven’t seen the first season, simply known as K, then there will be some spoilers ahead. It has been one year since Mikoto, the Red King was slain at the hands of Reishi, the Blue King who is also the head of SCEPTER4, a military-like police unit that protects the city. Shiro, the Silver King, has gone missing as has Daikaku, the Gold King who oversees and governs the entire city. The story revolves around the search for Shiro, but as they look for him, a new threat emerges in the form of JUNGLE. JUNGLE is the name of the clean lead by the Green King, who wasn’t introduced in the first season. JUNGLE ends up kidnapping Anna, formerly of HOMRA, the group lead by the late Red King which has dispersed. They targeted Anna due to her having the power to search for people. The Green King wishes to find Shiro just as much as anyone else does, but for reasons still unknown even after the movie’s conclusion. An all-out battle ensues where the remnants of the Red clan join with Blue and Silver clans to wage war against the Green King and JUNGLE in an effort to rescue Anna. The movie ends on a cliffhanger of sorts that sets up K: Return of Kings, the second season of the series. The movie features several characters from the first season as well as introduces a few new characters as well. Also known as The Black Dog, he was found wandering the streets alone in the first season and became a friend and ally to Shiro. When it was unveiled that Shiro was the Silver King, Kuro vowed to serve him and him alone which made him a member of the Silver Clan. The term clan can be used loosely here because there’s only three members in it. Shiro, Kuro, and Neko. Kuro is very good with a sword and always carries around a tape recorder with some of his late master’s words of wisdom. He actually uses that device to make decisions from time to time by having it pick one of his masters recordings and whatever it says, that’s the decision Kuro will make. Kind of weird if you ask me, but hey.. that’s dedication to your master! 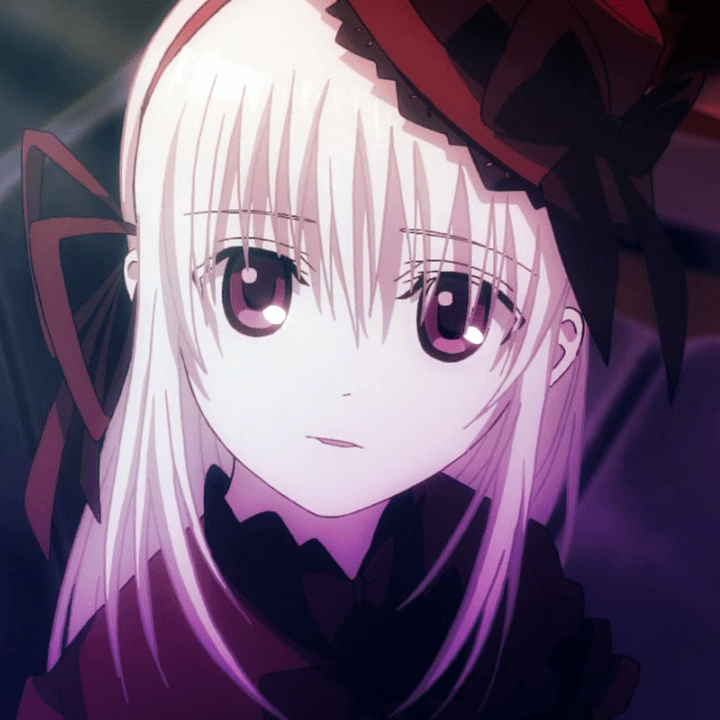 In the movie, Kuro initiates the search in trying to locate Shiro, however, a new character is introduced which enriches Kuro’s past. Yukari is a vassal for the Green King, but he is also Kuro’s senpai from when the two of them were training under their master. Yukari killed their master and now the two of them cross paths once again. Yukari is a mixed bag of emotions in which he likes to claim that his sword represents. He is certainly confident in his swordsmanship and his battle against Kuro demonstrates that he is on an entirely different level. While Kuro serves the Silver King, he will always remain loyal to his fallen master. It is that drive that set these two on a collision course! A member of HOMRA who has the power to use red marble-sized spheres to find and locate anyone. She is kidnapped by JUNGLE for her powers, but during her kidnapping, something interesting happens. Obviously, I won’t state it because it does contain spoilers, but Anna becomes a much more interesting character from this point on and I would have never guessed they would have gone this direction with her. Well done! Her event actually became the centerpiece of the movie. She’s a cat, if you couldn’t tell be the name. No, really.. she’s an actual cat.. that can turn into a human. Shiro takes her in and the two of them bond and because as such she becomes the third member of the Silver Clan. She joins Kuro on the search for Shiro. Neko still is the fun character of the show. She’s child-like in the fact that she’s naïve about the world around her, but she can fight when it comes down to it. Being mostly feline, she’s incredibly agile, energetic, but she also has powers of her own which disable her from being the pushover her personality would make you believe. Plus she likes to get naked…. A lot. Our second new character. She is, as the Blue King would put it, a ninja. No.. not a masked person.. SHE’S A NINJA!! GET IT RIGHT!! She shows off the Green Clan’s power of being able to pass through walls. Her power comes in handy as she is able to kidnap Anna while Kuro and Yukari battled each other. Other being a top soldier for the Green King, there’s really not much to say about this new character except that they did a poor job hiding her gender. She spoke through a voice scrambler and wore a bulky outfit, but it wasn’t enough to keep her gender hidden because I am not sure if it was an animation error or not, but there were several fight scenes where the character was drawn having a female figure… even under that bulky outfit. I realized it almost immediately that he was a she so when they pulled the mask off and did the reveal, it kind of felt like a derp moment. Our final new character. He is the Green King, although he never makes an actual appearance in his regular form. 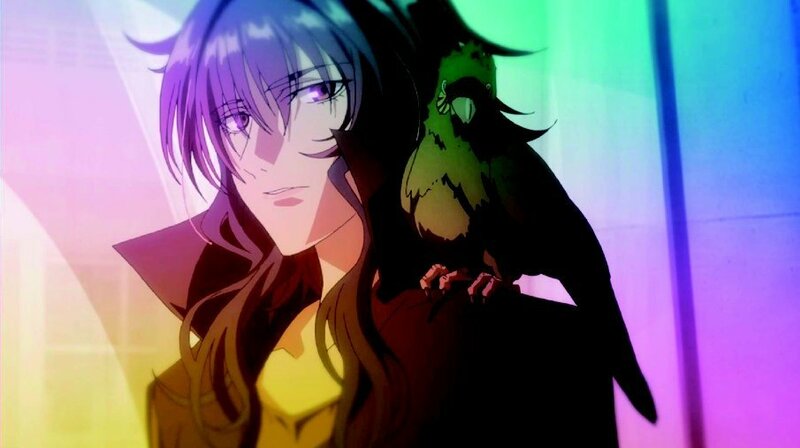 Instead, he channels his thoughts through a green parrot that accompanies Yukari everywhere. His motives are still unknown, but they set him up nicely to possibly be the main antagonist of the second season. We did, however, get a glimpse of his power which is, quite impressive. He able to collect green lightning from all of this clan member’s electronic devices and focus it into a single devastating blast. Pretty cool, if you ask me! One of HOMRA’s commanders, he’s very arrogant and short-tempered, although he means well in everything he does. Always donning a pair of headphones and a skateboard, he uses a unique fighting style of using the skateboard to his advantage. He’s also quite good with a weapon in hand as well. Despite his looks and personality, Misaki is quite strong and a formidable opponent to anyone who crosses his path. Here, he swallows his pride and asks SCEPTER4 for help in locating Anna. 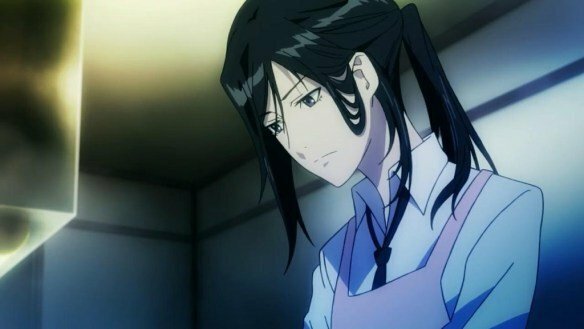 Misaki HATES the blue clan with a passion.. especially since they killed Mikoto, the Red King, but for the lone goal of saving Anna, he puts all of personal feelings aside in exchange for information. When he receives it, he goes head first into danger to try and rescue Anna. That pretty much takes care of the main characters. The blue clan, including Reishi, the Blue King, all take a back seat in the movie so they can highlight the Green King and his JUNGLE clan. Other members of HOMRA return, but have such little impact in the movie, they’re not really worth mentioning. We did get a look at the USAGI, which is the name of the Gold Clan and when I saw them, I had to facepalm. Hand signs and ninjistu-styled attacks? Did Masashi Kishimoto have a hand in this or something? All in all, the character development was saved for the three new characters, which was handled pretty well. The movie was only an hour and thirteen minutes long, but they did a fantastic job getting you interested in the Green King and his clan. The movie heavily relies on the viewer seeing the first season to get the backstory for all other characters so you won’t find much in the way of development here. Oh my GOD this movie is GORGEOUS. GoHands does know how to make a fantastic-looking anime and to see this in crisp 1080p on Blu-ray was a sensory overload! I know the television anime series looked good, but when you put a movie budget behind it.. it’s just eye candy everywhere. From the CG to the backgrounds to the character animation.. everything just shined.. and the use of colors? I haven’t seen amazing color usage like this since Tegami Bachi. 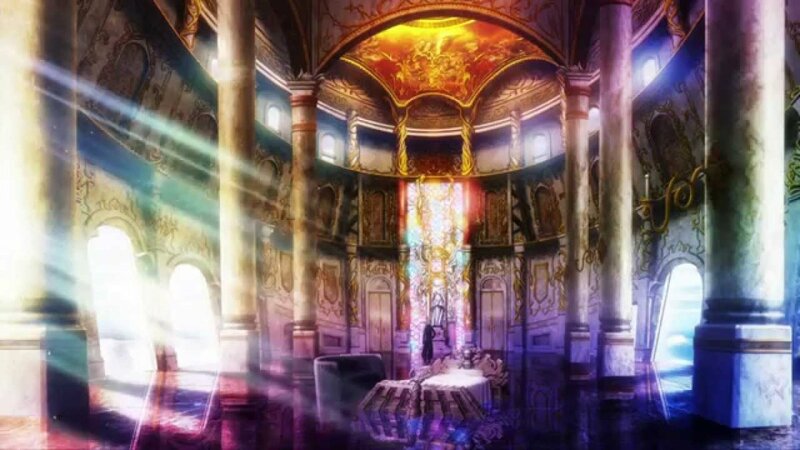 Purples, blues, and reds blended together in some scenes and in others, such as the end of the movie with the cathedral-like stained glass windows.. just wow. Starchild Records, GoHands, and The Klock Works spared no expense in the details department. The movie is just a joy to look at. All of the character designs remained intact, but there were a few little nuances that stood out. First and foremost, there were some scenes where the scale looked off. Characters appeared ten feet tall and it just looked weird. I don’t know if they were going for a “near the floor” camera angle on some scenes, but it almost gave the movie a zoomed in feel.. like when you use your TV’s zoom feature and things just look out of place. I don’t know if that was by design, but it wasn’t like that through the whole movie, just a few scenes with Yukari taking on the Gold Clan. The other is a little bit of inconsistency with the animation. When the Blue Clan arrived at the Gold King’s tower, Tatsuya’s animations were a bit weird… especially in the facial feature department. It was the only time I really noticed some weird animation, but it was a hiccup nevertheless. I guess all in all, it is more or less a glancing annoyance more than anything that could be held against this movie in terms of quality. The soundtrack was amazing as well. The orchestral pieces were nice as were the new age piano themes. You know… the kind that have that light techno beat with piano overlay… like you can find in pretty much every single JRPG made from 2005 onward? Yeah.. that kind of piano theme.. The ending song “Different Colors” by angela was simply amazing! I highly recommend anyone to check it out at least once as it brought a certain emotion to the movie’s end that just fits perfectly. I was, actually, really disappointed with the Blu-ray features for the film. We were offered a character story book, which actually got me excited until I realized the text couldn’t be read at all… even on a 32 inch screen using the Blu-ray disc. The character art in there was good, but I wish I could have read whatever else was written. Either it was poorly scanned for the disc or someone saved the PDFs in draft/proof quality rather than hi-res. After that we get two trailers for the movie, the English credits and just a bunch of advertisements for other series from VIZ Media. The English voice acting was okay. I didn’t care for Shiro, Ana or Neko’s voices. Kuro’s was hit or miss as some of his lines sounded great while others sounded forced. 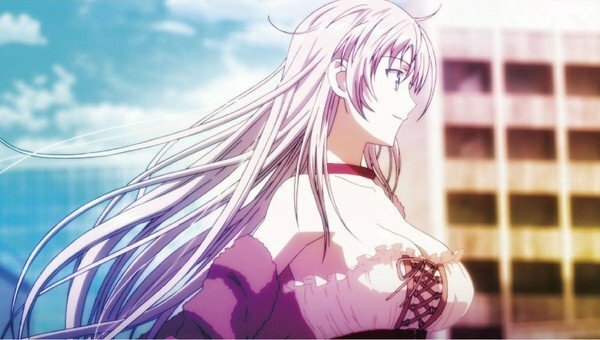 Patrick Seitz did a great join with Reishi, The Blue King’s voice while Christopher Hackney did a SUPERB job on Yukari. He could have used a LITTLE more flamboyance, but he ended up sounding really close to what I envisioned him as. While Shiro, Ana and Neko’s voices I could pass on, there was one I absolutely hated and that was Saruhiko Fushimi’s voice which shocked me because it was played by Johnny Yong Bosch. There was absolutely zero emotion in his voice acting and didn’t fit the character well at all. Then again, Bosch had some pretty big shoes to fill because Mamoru Miyano, my favorite Seiyuu, was Fushimi in the Japanese version of the film. I just don’t think it translated well to English at all. Being a fan of the first season of K, I got this movie, but I didn’t watch it at first. I had the mentality of “Oh, I can watch this anytime” and as more and more anime seasons came and went, it just sat there on my hard drive forever. When K: Return of Kings was announced it gave me an excuse to watch it and I’m glad I finally did. The movie was a very good watch from beginning to end and watching it so close to the release of the second season meant my transition from one to the other would be a lot better than trying to sit here and remember what happened in the movie. It continued the first season and set up the second season beautifully. It established the new characters very well and gave us some nostalgia by reintroducing all of the old characters from season one while keeping everything intact as if we never left. This movie’s entire purpose was to be a bridge between season one and two and it accomplished it’s job and then some. If people were to watch this as a standalone feature, they would be lost almost instantly, so watch the first season before you decide to tackle this, but tackle this you should because it’s one of those that’s too good to pass up! A wonderful continuation of the first season that established the Green Clan well and made me want to see more! It definitely is one of the most gorgeous anime movies I have seen from a color standpoint. The Blu-ray does it great justice.. I just wish the English voice acting was better.